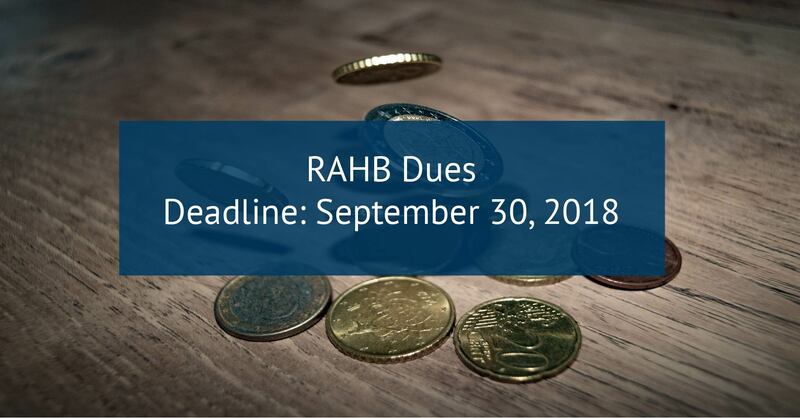 The quarterly RAHB dues have been billed and e-mailed to you as part of your August monthly invoice. Please note that dues are payable no later than September 30, 2018. Online: CIBC/PC Financial, Royal Bank, Scotia Bank, TD Canada Trust – for assistance to set-up, please contact Karin at 905.529.8101 x 258. Pre-Authorized payment subscribers will be processed on Friday September 21, 2018.